Direct access to private dock on water. Bring your kayak or boat, or use our single and tandem kayaks. 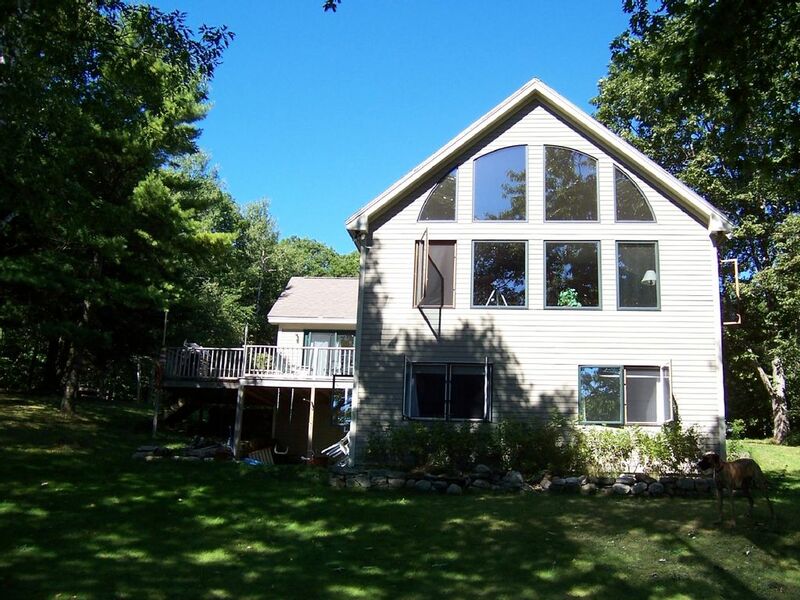 This modern three bedroom home on Orrs Cove is located 25 feet from water’s edge on 2 private well landscaped acres. This comfortable, well furnished home offers full kitchen, spacious open-concept dining room-living room w/gas fireplace, 49" Smart HD TV, NETFLIX On-Line, Bedroom TV's, cable, and WIFI. Master bedroom/bath has a queen bed and window air conditioner; second bedroom has twin beds; third bedroom has two double beds and the loft has a double bed. Main floor laundry room. Our recent vacation to Maine was our best to date! The house was beautiful and located perfectly to all the wonderful sights. The convenience of having kayaks at our disposal added to our enjoyment. The house is has a terrific view of the water and the was so peaceful. Phenomenal property. A true Maine experience. Great location and layout. Ocean breezes that kept the home cool, wonderful natural lighting. Everything we needed for a week’s visit. Our stay was memorable. The house was just as described and well taken care of. John and Ann were wonderful to work with. I have no complaints and would definitely rent this property again in the future. I have used VRBO before and booked houses along the East Coast. This house is the best! The layout for guests and privacy was well thought out. The binders with local information was helpful. The ability to sit and drink our coffee in the morning watching the sun rise while watching the Loons, seals and Osprey was amazing. Every detail for our comfort was anticipated. The location for the wedding at Thomas Point Beach was perfect. I highly recommend this house for a relaxing getaway. Cancellation Policy 50% refund if canceled at least 7 days before arrival date. 100% refund if canceled at least 14 days before arrival date. Service Fee fully refunded on cancellations that qualify for 100% refund. Pets considered - contact owner.